A few days ago I received an email from an INFJ who was struggling with bullying and a sense of isolation in her every day life. Unfortunately, this kind of experience is very common. Every day I get emails and comments from INFJs who feel like nobody understands them, like they’re walking through life unheard. They feel like aliens in a world that simply doesn’t accept, understand, or appreciate their strengths. 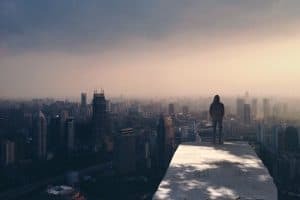 Why is loneliness so common for the INFJ? How can they feel more connected to the outside world and more understood? 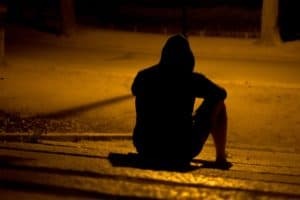 I hope this article helps you (if you’re an INFJ) feel less alone, more understood, and more aware of why you struggle with loneliness. If you’re not an INFJ, I hope this article can help you to understand the INFJ in your life in a better, more positive way. INFJs make up only 1% of the population. That means that you have a very small chance of meeting another like-minded individual in the world. This also means that 99 out of 100 people you meet are likely to see the world in a different way than you do. Many INFJs go through life never meeting anyone who sees the world and makes decisions in the same way that they do. INFJs gravitate towards personality forums, groups, and message boards. They are one of the types most naturally interested in Myers-Briggs® theory, so you’ll find a much higher percentage of them in personality groups. Also, I would guess probably 8 out of 10 people typed as INFJs by online tests are actually INFPs, ISFPs, or ISFJs (also amazing personality types). You can find out more about this here. Now before you give me a hard time about having a “special snowflake INFJ syndrome” just remember that I’m only stating facts here. Every personality type is unique, special, and gifted. INFJs interact with the outside world using Extraverted Feeling (Fe). This means that they are remarkably attuned to the emotions and moods of others. They “absorb” the feelings of the people around them. If they are with people who are sad, they will feel sad. If they are with people who are happy, they will feel their joy. If they are in a stressful environment, they will feel other people’s stress. 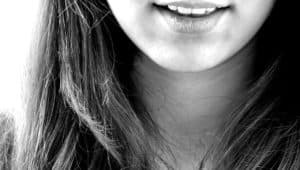 On one hand, this ability makes INFJs great at connecting with people and feeling their pain, rejoicing in their joys, and empathizing deeply. On the other hand, it also leaves them at the mercy of the ever-shifting moods of the people in their environment. INFJs are so concerned with maintaining harmony and improving the moods and emotions of others, that they can leave their own emotions and feelings untended. As a result, they can wind up feeling overloaded with other people’s feelings and lost and alone when managing their own. 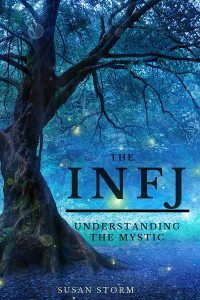 The intuitive insights of the INFJ are hard to explain in a tangible, concrete way. INFJs have insights, premonitions, or predictions about the future and most people will laugh these off as “silly” or not grounded in reality. Why do people react like this? If we look at the US population, about 70-75% are made up of sensors. Sensors trust concrete facts and tangible results. If an INFJ explains a “gut” feeling or insight about the future, the sensor is naturally going to feel suspicious. They’ll want to know what led to this insight, what tangible, concrete steps were taken to determine this intuition. The problem with this is that Introverted Sensing (Si) is the function that determines a future outcome by looking at past experience. Introverted Sensing (Si) focuses on verifiable facts, credentials, or concrete tangible proof. Si-users predict the future based on past performance and experience. If you ask a Si-user why they predict something, they’ll be able to say “because A led to B which will lead to C”. If you ask a Ni-user why they predict something, initially all they might be able to say is “I just know”. This does little to impress or influence the sensor, and as a result, the INFJ may be seen as “nutty” or bizarre. There IS a logical way that INFJs get their insights, and you can find out more about this here. Living like this can be debilitating for the INFJ. Many other types have dominant functions that are appreciated and promoted in daily life. Extraverted thinking, for example, is easy for people to trust and see as beneficial. Introverted Intuition is one of the most abstract and misunderstood cognitive functions, and very few people in the outside world trust it or understand it. INFJs often go through long periods of time relying very heavily on their auxiliary function, Extraverted Feeling (Fe). Work, family life, and social obligations demand it. INFJs enjoy the company of others, because it allows them to exercise their feeling preference. However, after prolonged socialization INFJs can experience stress from leaning too hard on Fe. It’s important for them to get plenty of alone time to give their dominant function, Introverted Intuition, time to breathe and be fully accessible. After too much time spent socializing, INFJs may suddenly decide to retreat from the social realm for an indefinite time. They may ignore phone calls, texts, emails, or any effort at communication. INFJ blogger Marissa Baker writes about this well in her article The Vanishing INFJ. 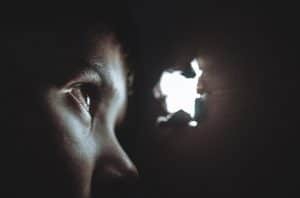 No matter how friendly and sociable INFJs may seem to others, deep down they are true introverts, and they often leave their introversion needs unmet. What happens when an INFJ vanishes? Many times their relationships suffer. Friends and family members may be offended, and certain relationships may even be lost. It’s hard for people to understand why someone who once seemed so friendly and compassionate would disappear, leave phone calls unanswered and refuse to speak to them for days, weeks, or even months. This not only hurts the friend but the INFJ, in the end. They care very deeply about their relationships and when they finally return from their vanishing act they can feel regretful and even more alone than ever. What Can INFJs Do to Avoid Loneliness? Share this article with friends and family if that would help. Otherwise you can check out a book like Please Understand Me or Type Talk: The 16 Personalities That Determine How We Live, Love, and Work. Understanding more about yourself can help you to feel less alone, and telling your loved ones about your type can help them to be more understanding of your needs. It’s important that you get plenty of time alone to recharge. Just make sure you also balance that out with occasional time with friends and loved ones. INFJs who spend too much time alone and ignore the auxiliary function can get stuck in a Ni-Ti loop and that can lead to more loneliness. Conversely, spending too much time socializing and ignoring your introversion needs can result in the need to “vanish” and can hurt relationships. I know as an INFJ you care deeply about your relationships so try not to wear yourself out so much that you need to disappear completely! As an INFJ, you are probably able to express your thoughts and feelings in a deeper way through journaling. Because you use Extraverted Feeling (Fe), instead of Introverted Feeling (Fi) you may be more aware of other people’s feelings than your own. This can exacerbate a feeling of loneliness and anxiety. When you write your feelings down in a journal and then read them back to yourself, it allows you to channel your emotions through Fe and understand and manage them better. Venting your feelings to a trusted friend can have the same effect. Many INFJs find that reading allows them to feel a connection with other individuals, albeit fictional ones. Ideally you would balance reading with real human interaction, but reading can be a wonderful way to cure stubborn loneliness when there’s no one around you can truly connect with. Do you struggle with loneliness? Do you have any tips you’d like to share with other INFJs? Let me know in the comments! Do you want to understand yourself better as an INFJ? I feel like I came across this article at exactly the right time, as this piece resonated with me so much – particularly in terms of #2 and #4. I work in a social services related field and my job can be extremely hectic. I have a tendency to really absorb the energy of others which can be problematic if I am dealing with people who are very angry, anxious, etc. I also witness a lot of suffering. Even though I have a good balance of work and personal time, I often feel like my days off are spent recovering and I don’t want to be around a lot of people. Which brings me to #4 – I’ve often had people tell me they think that I “hate people” because in my off-time I can seem cynical or like I want to avoid others. Again, I don’t think this is true (otherwise I wouldn’t do the work that I do) – I just think that when I am overloaded with human interaction I definitely want to retreat from others. My social life has always been fairly weak, and I’ve usually only had a few close friends. My personality combined with life experiences has made me very wary of group dynamics and I have a hard time reading/relating to others in these social group contexts. My partner (who is also an INFJ) are moving across the country in a few months, and one of the reasons I am looking forward to it is that it will be a chance to start anew. In some ways I think it will be easier on me to not really have any friends where we are going but to also be anonymous. I have thrived when traveling solo (it gives me the freedom to socialize with like-minded but also have copious amounts of solitude) so I am looking forward to this experience, and hopefully learn from some of my past mistakes when I do meet new people. Yes, I have also gone through various articles and blogs to know about INFJ. Generally, INFJs want a meaningful life and deep connections with other people. They do not tend to share themselves freely with other people. Loneliness is the biggest obstacle slowing down INFJs on the way to happiness. And to overcome loneliness is not at all easy. Overcoming INFJ loneliness is hard because they often feel misunderstood. If you want to overcome loneliness you need to make yourself your own biggest support. And while going through all these issues truly it feels very irritating. Anxiety and depression rapidly change our moods. In order to overcome this situation, many people practice mindfulness activities, distract them self from negative thoughts or go for any voyance pure consultation. Once you may check out here http://www.martine-voyance.com/qui-suis-je/ . Consultation is one of the best methods to overcome with your problems. I took the MbTI test about 15 years ago on a huge team building work thing. I remember standing in the tiny group of personality types that were introverted and feeling validated that I always knew I wasn’t the same as the rest of the world! As I appear extroverted to most people, there was a lot of confusion, especially as I was standing with another IN personality who was also perceived as extroverted. Fast forward 15 years and both of us have come out of narcissistic long term relatoinships at about the same time and both of us are struggling to come to terms with how we ended up in them. I decided to redo the test in an effort to rediscover myself and to see if I’d changed, and no surprises, I’m still an INFJ. I spent ten years in a relationship with someone who didn’t understand that I felt lonely next to him and he made no effort to understand me. He and his family are very academic and looked down on me for not having the rational thinking that they perceived as the absolute truth about everything. The house we lived in was centrally located and always full of people popping in, and it exhausted me. I was relieved when we moved away because too many people were draining me and I wanted to be alone – but not lonely. I barely knew anyone for about two years. But then I felt started feeling lonely because my ex is an extroverted narcissist who prefers the company of strangers to his kids and I. He didn’t value my need for understanding and connection with one person. So now, I’ve created a huge circle of friends since becoming single and I’m back to having a house full of people – which is draining at times because they don’t return what I give. I spend so much of my time feeling lonely because I don’t have a partner who understands me and who I can share my life views without being criticised or ‘solved’ and people seem to look to me as an insightful catalyst in their lives. I am learning to laugh at this never ending confusing cycle of life, loneliness and the need to be alone! I’m lucky that I have my children, because without them, I’d be truly lonely. I now ensure that I have 24 hours a week to myself as my kids stay at their dad’s overnight and I have a whole day to myself which I fill with reading, writing, exercise, self indulgence and no one else’s needs. It still never feels enough because the rest of the week is FULL of other people and their needs. I do have a male introverted friend who understands me better than anyone else and gives me a little bit of hope that maybe one day I will be able to find someone who understands that I want to be loved unconditionally – even when I want to be alone. Hi yeh the loneliness thing has been a struggle for me for most of my life, except for when I was in an intimate relationship. Since being single, all the time alone really feels like I’m alone, but before when I had a partner, she would always know about it, she sort of got my time out and loved me for it – as she knew I’d come back at some point with something genuinely interesting to talk about. All the friends I have maintained over the years, our relationships work in this way too. I don’t talk to them for ages, or see them. Then maybe once in a month or two we will decide to chat or have a long lunch or night out. We really put time into it when we see eachother and the occasion is always really awesome. Its like this because so much information has been gathered, so many experiences and interesting stories learnt which can all be told in our brief meeting with eachother. Then we disperse and go about our way for a while. I understand this about myself now, this is just how I relate to the world, its how I like to be in relationships and it works. For many years I didn’t understand it and forced time spent with people which just seemed kinda stupid and pointless at times. Also, many of my friends got caught up heavily with with drugs when I was younger, and I was keen on this initially. But the idea of us sitting each afternoon, smoking billies, watching stupid T.V, isolating ourselves from previous sociial networks and escaping our existential problems never sat with me well. In fact if there is any situation where I feel like the anything from the above is happening I will usually fade away. Time to me is much better spent alone reading interesting things, listening to new, undiscovered music, listening to super intelligent professors, watching films, reflecting on experiences or reading books which are philosophically based. I notice when I do these behaviours, which at times have been weeks straight with any outside contact absolutely charge me up. They absolutely energise me. This has and still causes problems with sleep, because often when I get home from work, when I jump on the computer I actually have more energy after a couple of hours, and so find it harder to get to sleep. Coming back to friends though and loneliness. Being like this is pretty freaking awesome. When I enter the world I have set my life up now, so that I do so with people who are eager to explore with me I am so fascinated about. I actually do this for a job now, which has changed my life a thousand times over. Aside from this, I have managed to keep enough friends who I see occasionally, and attend parties or gigs with them. I also play music and sports and am actually quite talented at them, so do this regularly which gives me social contact. Still, I feel quite lonely alot of the time. I dont think my way of relating to the world is incorrect for me though. And I dont think I need more friends, or social things to do. What I do need I think though, is an intimate. Perhaps someone who is there always without being there. A person can come visit when I’m in my alone time and I actually feel lonely, anxious and not stimulated by it. A person who can enjoy the internal world with me from time to time, and can relish in this strange existence with me. This is a great article, and I love that you not only very accurately described the perpetual struggle with loneliness in my life and apparently the life of other INFJs, but you also provided strategies for making things better. Wonderfully helpful. Thank you so much for writing! I’m so glad this was helpful to you!! I hope the strategies prove effective, from one INFJ to another I know how tough loneliness can be! I can certainly relate with the vanishing act. I have done it quite several times and it’s true, my relationships suffer. That makes it more lonely for me. I have lost some friends and it did make me guilty. It made me feel like nobody would ever understand the way I am. I want to know the best way to control this but I haven’t really did well on this one.